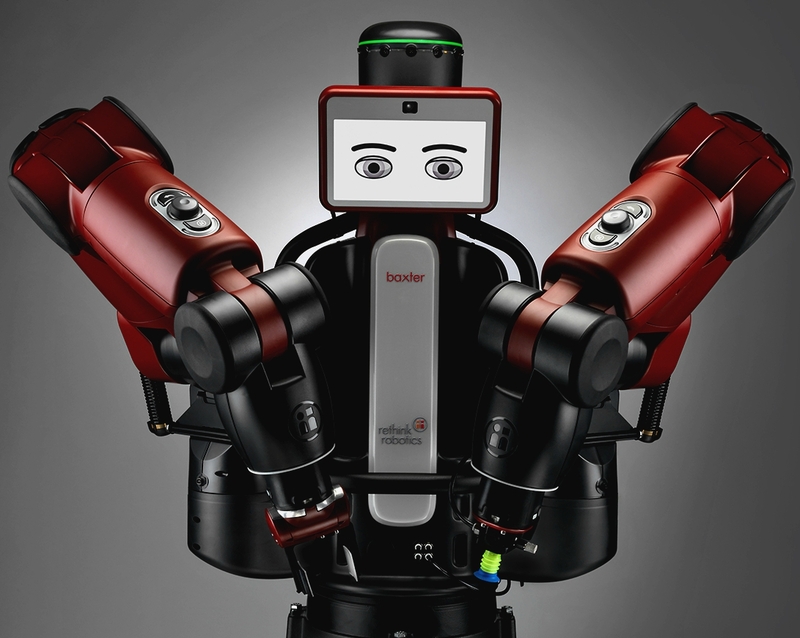 The Collaboration and Cognition Laboratory (COLAB²) studies mixed-initiative computing, a collaborative activity in which humans and machines serve active roles. Located on the top floor of the Neuroscience and Engineering Collaboration Building at Wright State University, the lab directed by Michael Cox houses research space for students, workstations, multimedia facilities, and provides a home for Neo, our beloved Baxter humanoid robot. Using the Metacognitive Integrated Dual-Cycle Architecture (MIDCA), a cognitive architecture, researchers explore novel means for controlling and interacting with autonomous platforms under dynamic conditions in which unexpected problems are likely to arise. Our approach examines issues of human-machine teaming, robustness for long-duration intervals, and goal-driven autonomy. We welcome you to learn more about our team, research, and accomplishments. Michael Cox, Dustin Dannenhauer, Matt Molineaux, Sampath Gogineni , Sravya Kondrakunta , and Vahid Eyorokon attended IJCAI-2018 the Sixth Workshop on Goal Reasoning, 27th International Joint Conference on Artificial Intelligence (IJCAI-2018) in Stockholm, Sweden. 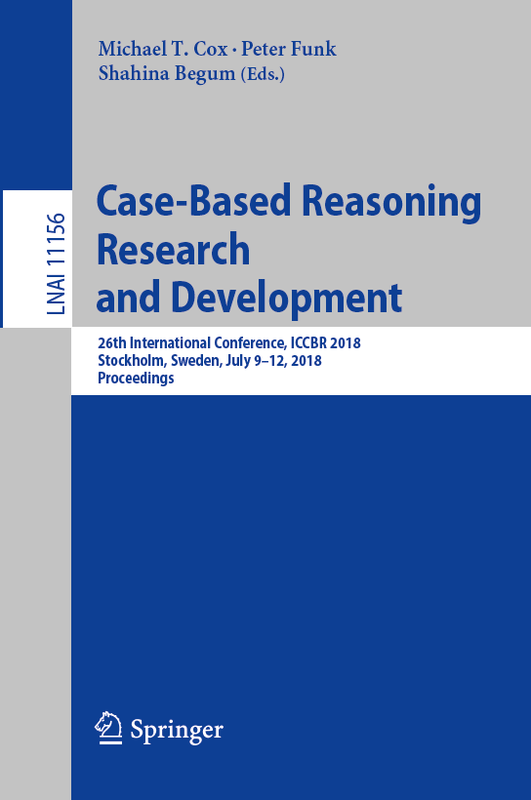 Michael Cox, Sampath Gogineni , Sravya Kondrakunta , Zohreh Alavi , and Vahid Eyorokon attended ICCBR-18 Twenty-Sixth International Conference on Case-Based Reasoning (ICCBR-18) in Stockholm, Sweden. Michael Cox and Dustin Dannenhauer attended AAAI Phoenix and have presented a paper on goal transformation and goal reasoning. Dustin Dannenhauer hosted an Online MIDCA Workshop going through the features and changes being added to the upcoming MIDCA 1.4 update. Michael Cox attended ACS Chicago and have presented a paper "A Model of Planning, Action and Interpretation with Goal Reasoning." Michael Cox, Dustin Dannenhauer, Zohreh Alavi and Vahid Eyorokon attended IJCAI New York and have presented various papers and posters. Michael Cox, Dustin Dannenhauer, Zohreh Alavi and Vahid Eyorokon attended IJCAI Goal Reasoning Workshop New York and have participated in the workshop. Cox, M. T., Dannenhauer, D., & Kondrakunta, S. (2017). Goal operations for cognitive systems. In Proceedings of the Thirty-first AAAI Conference on Artificial Intelligence (pp. 4385-4391). Palo Alto, CA: AAAI Press.